If you use Apple’s Force trackpad, the Single FORCE click gesture in BetterTouchTool (BTT) allows you to trigger menu items and keyboard shortcuts, open designated URLs, files, and folders, resize or position windows, and much more. BTT’s Single FORCE click gesture is one of my favorites because it’s a one-click easy-to-remember gesture that can either be a universal trigger, or be used to trigger different actions in multiple applications. 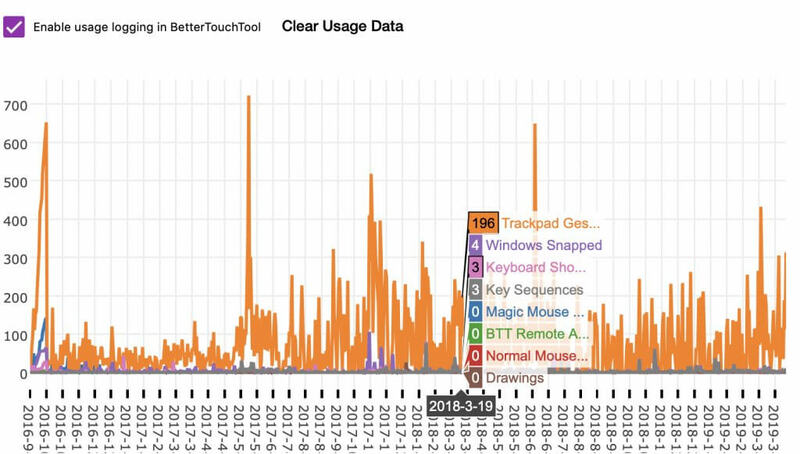 This article provides examples and ideas for using the BTT single force click gesture, and it includes links for downloading BTT if you’re not yet using it. 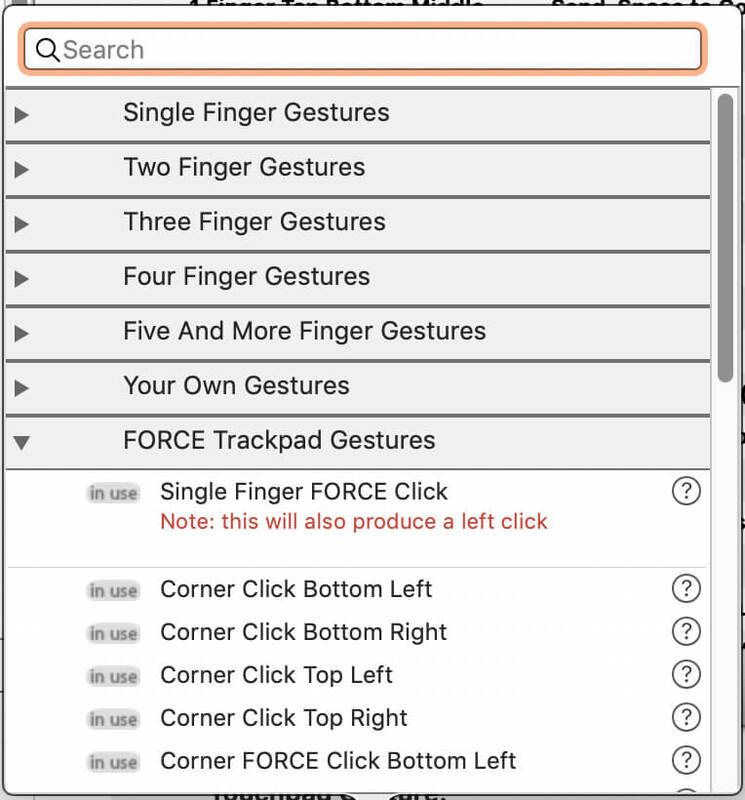 For those of you who don’t know, BetterTouchTool is an application that allows you to trigger hundreds of actions on your Mac using various finger gestures, including a Three Finger Click, a Four Finger Swipe, a Five Finger Tap, a Two-Finger Double-Tap, and lots more. A sample of over a 100 finger gestures. When you force click on a file icon, it can reveal the file in Quick Look preview. Force click on selected piece of text to see more information about the word or phrase. Force click on an app in the Dock to reveal the windows of that app in App Exposé. Force click on a location in the Maps app to place a pin on the spot. The single force click is supported by the Apple Magic Trackpad or the Force Touch trackpad on a MacBook Pro. You enable the force click gesture in System Preferences > Trackpad > Point & Click tab. Hover your point over the Look up & data detectors checkbox to select the feature. See this Apple documentation page for dozens of other actions that can be performed with the macOS default force click feature. The single force click gesture works similarly in BetterTouchTool, but it provides over a hundred built-in actions that you want to trigger, plus it or other finger gestures can trigger menu items, and keyboard shortcuts. You can even set up gestures to resize windows. You can use the single force click as a universal gesture to trigger the same action from within any application, or you can assign a different actions for specific applications. See my collection of other articles about BetterTouchTool. Also check my BetterTouchTool Finger Gesture Course. Learn the entire program in one weekend. My criteria of sorts for assigning a single force click to an application is when I find myself repeatedly performing the same action while working in an application. For example, in Safari, I constantly need to insert login information in various websites. For the most part, the Safari Passwords feature offers up the login information I need, but not in all cases. Since all my usernames and passwords are saved to 1Password, I use the single force click gesture to trigger the 1Password shortcut to insert login information. It’s done in one click, nothing else to remember. Another example: I recently returned to using the task manager, Todoist (friend link), and nearly everyday, even a few times a day, I’ve been working in my IFTTT.com account to create or adjust automations for various types of task in Todoist. But instead of having to manually switch to Safari and type in the URL for IFTTT.com or click the bookmark page, I do a simple single force click in Todoist, and BTT automatically switches to Safari and opens the designated URL. It’s a sweet one-click action. I use similar single force click actions to open designated URLs from within Spark mail, Slack, and Day One. When I perform a single force click on my desktop, it will trigger the shortcut for to show the mini Fantastical calendar window in the menu bar of my 27” iMac. With such a large screen, it’s sometimes a hassle to drag my cursor to the top of the menu bar. BTT saves me the trouble of doing that. In Keyboard Maestro, I use the single force click for two actions: opening the Actions pane, and navigating to the search field. With BTT, you can assign a modifier key to an action, which enables you to use the same finger gesture with two different actions. Or as shown in the screenshot above, you can assign one or more actions to the same finger gesture, and in that case a contextual menu will pop up so you can choose which action you want to trigger. Because I don’t care much for remembering and manually pressing keyboard shortcuts, BetterTouchTool is a huge time saver when it comes triggering actions on my Mac. As the screenshot below shows, there are days I use finger gestures nearly two hundred times. When my right hand is on my trackpad, I can trigger actions without returning my hand to my keyboard to trigger an action. With the single force click gesture, BTT makes it even easier to trigger a regularly used action. If you haven’t tried BetterTouchTool, you definitely should. 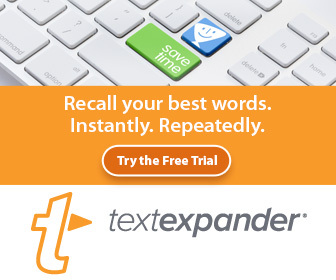 You can get a free trial download, and the license for BTT is very affordable. A standard license is just $6.50, a lifetime license is $20, and a Setapp subscription includes BTT (affiliate link) and a hundred other applications for $9.99 a month. Hey Bakari! I’ve been using 1Password for years and never even knew about the command shortcut until this. Sheesh. Hiding in plan sight. Thanks for this as I now have this BTT/1Password Force Click. You’re welcome. Not in this case, but sometimes when I’m researching and writing an article, I discover features in apps that have been there for years. If you haven’t done already, check out the other shortcuts in 1Password, such as the search inline shortcut.